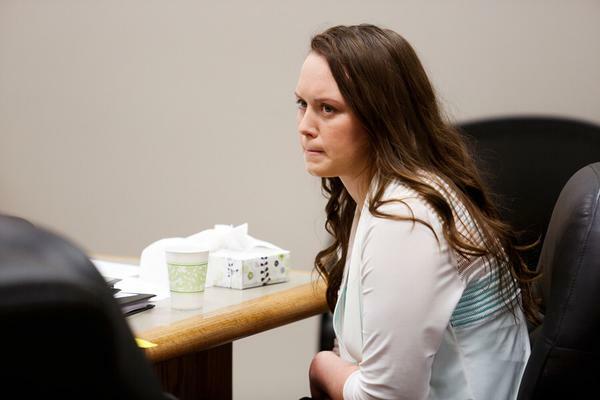 Testimonies will resume tomorrow for #MeaganGrunwald's trial. I'll have a story soon. Warwood talking about the shootout that took place at the end of the chase. #MeaganGrunwald is laying flat on the road, Garcia in shootout. Warwood said he heard Garcia tell him he was thirsty after he took his gun, but only heard "mumbling" after. Thomas heard intial reports of Cory Wride's death but he was later ordered to assist other agencies following the shootout. Thomas describes a picture of the totaled Tundra, #MeaganGrunwald's vehicle. Zabriskie asks Thomas how long after the carjacking events he arrived. Thomas doesn't know, guesses about 10 minutes later. Felsing was traveling from Vegas back to Kamas and saw #MeaganGrunwald's vehicle exit I-15 in Nephi. Felsing says he saw a vehicle swerve over the median into his lane of travel as he was traveling NB on I-15 near Nephi. Felsing saw an individual running after his car and open the passenger door. He accelerated, and then there was a gunshot. In the dash cam still, Clarken's vehicle is very close to where #MeaganGrunwald was laying down. Clarken hears #MeaganGrunwald scream, "You didn't have to shoot him!" Clarken said #MeaganGrunwald was acting hysterical after the male was shot. Clarken saw the male, didn't feel like he was a threat to him. "He was a good distance from me, outside of pistol range." Clarken said in his reports that he thought #MeaganGrunwald was about 40-yo initially. Was surprised she was a teen.